Here a set of the larger ones. Or how about a set of three spaceplanes? Three Spaceplanes. 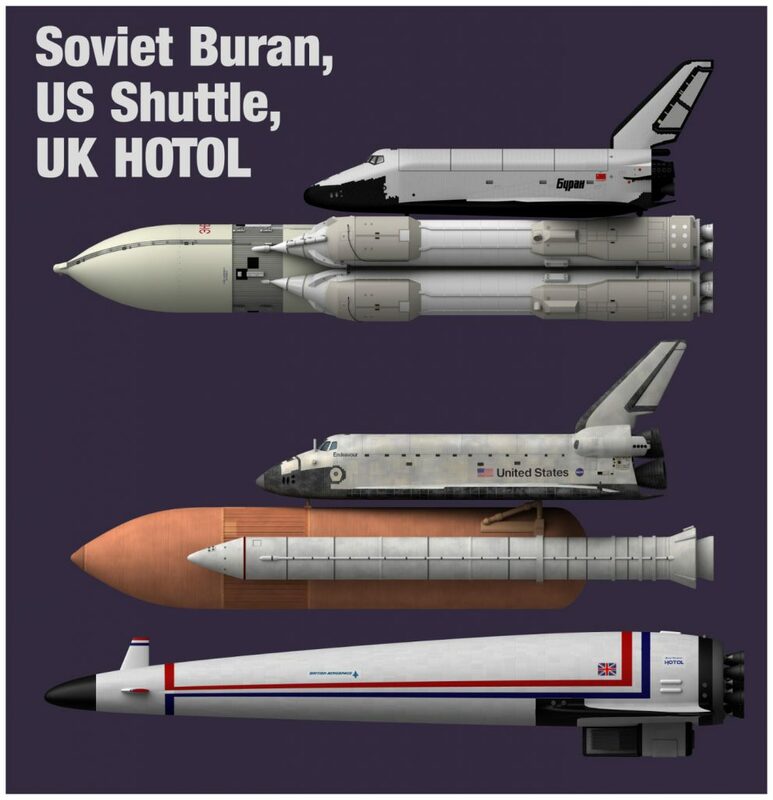 US Shuttle, Energia Buran, and the British HOTOL. I also found it fun to add some fictional spacecraft into the mix, such as the Discovery from 2001. The Discovery from 2001, with N-1, Big Ben, and the Saturn V for comparison. 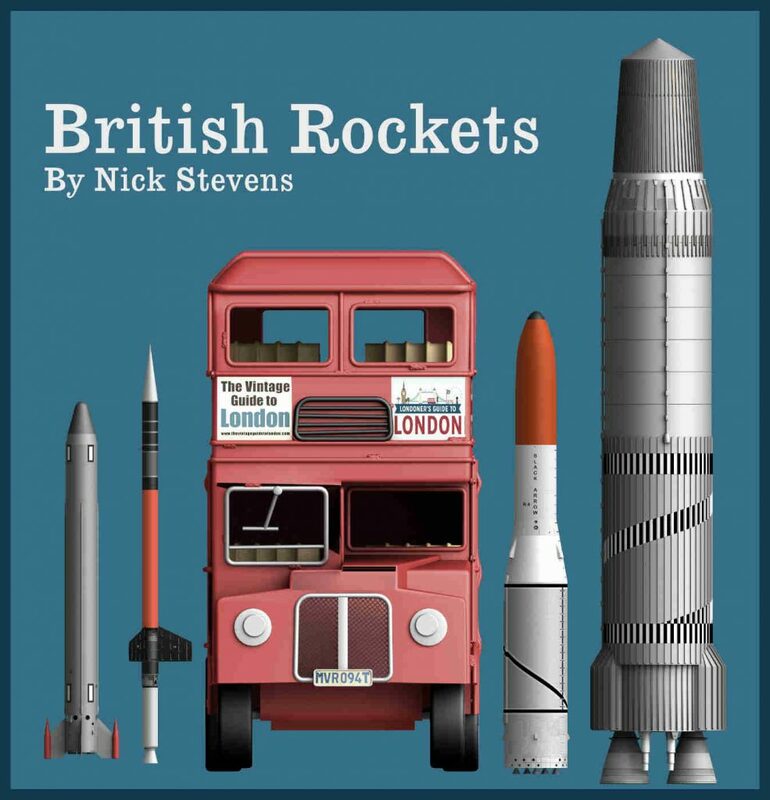 Or how about gathering the various British rockets together? Again the reminder, click the pictures for larger versions! HOTOL plus British Rockets, Skylark, Black Arrow, and Blue Streak. Rocket Library, the big set! Don’t scroll down if you don’t want to see the answers. Hi, Nick. 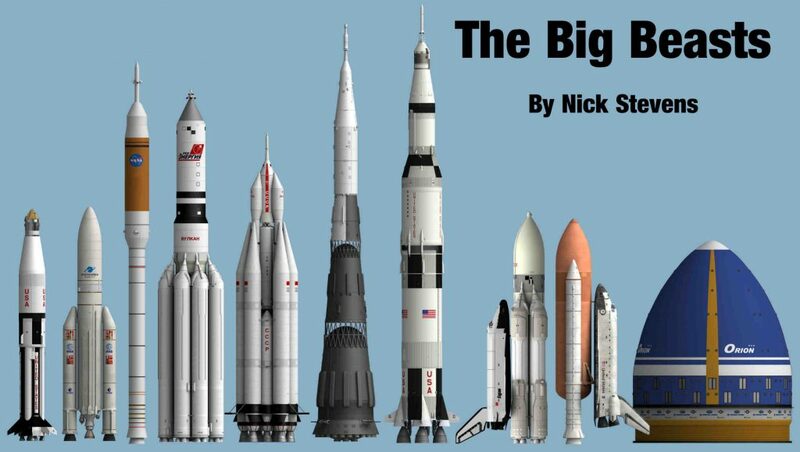 Nice work here – always interesting to see these size comparisons, especially for some of the more obscure rockets. That is, the Black Arrow looks very small to me for a rocket that successfully orbited a satellite. Indeed, doing a bit of Wiki-searching, I see that the Black Arrow was 13 metres high, while the Blue Streak was 18.75 metres, Black Knight 10.2–11.6 metres, and Skylark 7.6–12.8 metres. These all seem pretty much in proportion. Thanks Mark – you may well be right. I’ve actually started a spreadsheet to track and check all my rocket’s dimensions, and that they are lit consistently.